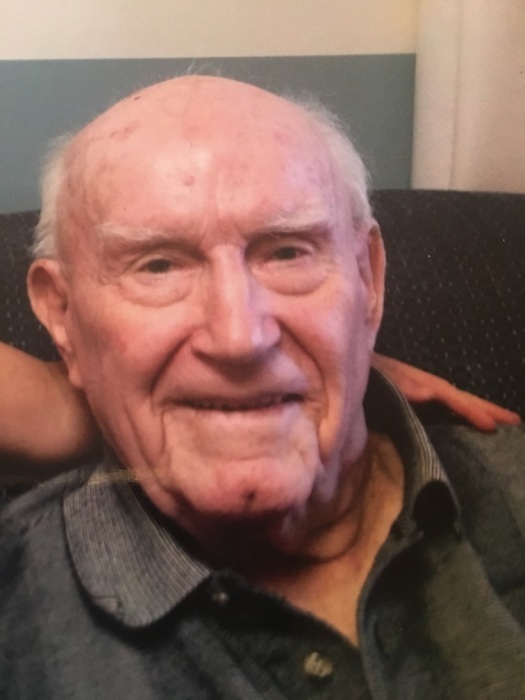 Funeral services for Leo "Red" Jochum, 91, of Norfolk will be 10:30 a.m., Thursday, January 17, 2018, at St. Mary's Catholic Church, Norfolk: Reverend Scott Schilmoeller will be the celebrant. Visitation will be Wednesday from 4-7 p.m. at the church, with a rosary at 7:00. Home for Funerals is in charge of arrangements. Leo Anthony Jochum, the son of Leo and Rose (Rotert) Jochum, was born May 26, 1927, on the family farm west of Raeville, Nebraska. Leo entered into the arms of Our Lord and Savior surrounded by his wife of 64 years and nine of his ten children, on January 12, 2019, at his home. His daughter Janet preceded him 29 years earlier. Leo was baptized and confirmed at St. Bonaventure Church in Raeville. He attended school at District 16, Sunny Side School, and St. Bonaventure in Raeville. Leo joined the army in 1950 and served in the Korean War. When he returned home, he worked as a barber, firefighter, bowling alley owner, and, later, when he moved his family to Norfolk, he worked at Norco Feed Mill as a Regional Sales Manager. He enjoyed golfing, bowling, and spending time with his grandchildren; however, he was not fond of barking dogs…well, really, any dog. Leo married June Freeberg on April 2, 1954, in Seattle, Washington, and together they raised ten children. Survivors include his wife June, children Laurie (Tom) Abler of Norfolk, Jeff Jochum of Norfolk, Nancy Jochum-Schramm (Brad Jones) of Wayne, Reed (Wendy) Jochum of Boise, Idaho, Joan (Scott) Stutesman of Pawnee City, June Jochum of Norfolk, Ed (Paula) Jochum of Sioux City, Iowa, Brian (Ana) Jochum of Woodland Hills, California, Stephanie (Rick) Zoubek of Norfolk. He is also survived by 22 grandchildren and 14 great grandchildren and a brother Darrell (Lynn) Jochum of St. Joseph, Missouri. He was preceded in death by his parents; his daughter Janet, brothers Delmar, James, and LaVern “Toby”; sisters-in-law LuVerna Jochum and Donna Stuhr, and a niece Linda Dinslage.